We've released a number of new updates to our Credentials & Pass management tool! For those Event Operations "Nerds" (particularly anyone who deals with Credentials or Passes) we thought you'd really appreciate these latest updates. Special thanks to the talented credentials & box office staff who've given us feedback. We hear you. We take a lot of pride in listening to and learning from event professionals like yourself. We're excited for you to see the improvements we've made. Managing Requests & Approvals of Passes. • One place to search across all passes, regardless of approval or issuance state. One view that allows you to easily navigate between review & approval mode and issuance & check in mode. One unified search across it all - always find what you are looking for. 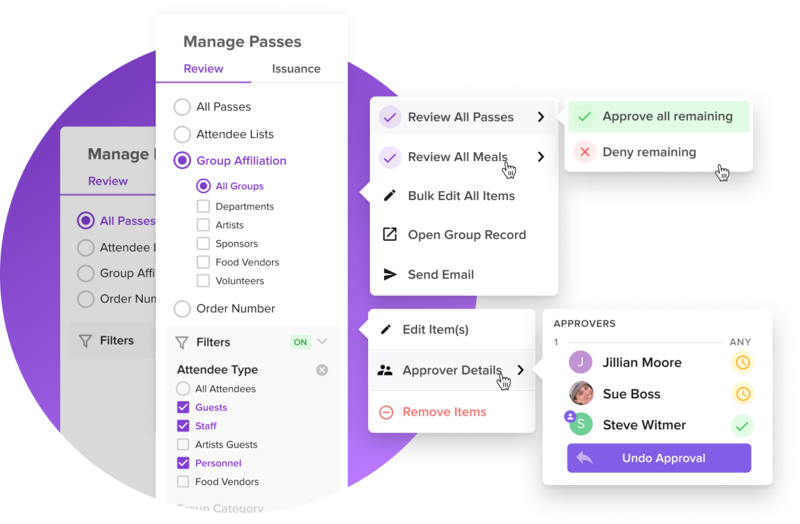 Now you have one place to see pass & credential summaries across your groups, departments, and individual personnel & attendees. Bonus: More intuitive ways to bulk review those requests. Quickly having a high level view of where you are at in the fulfillment & pickup process is critical to success - and really, morale. You deserve to know how close you are to "done". Now your goal is in sight at all times. 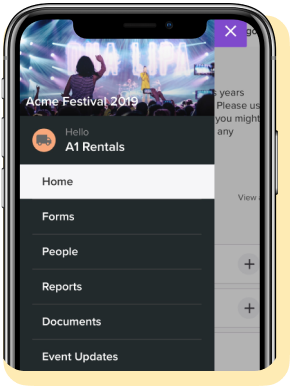 See how top event teams are improving their credential & pass management process by using Lennd. • A method to handle pre-pickup fulfillment & partial pickups onsite. Want to process & pre-pack your orders prior to the rush of on-site check-in? No problem. Have instructions to give 2 of the 4 parking passes out to an approved pickup person on an order. Now we can handle that. Issuing passes with unique numbers or barcodes? Now you can scan or enter these codes when fulfilling orders for pickup. Want to know who's truck is parked in the fire lane? Now you can quickly lookup their parking pass to determine who it was issued to. Using RFID with one of our integration partners? We'll sync back the attached UID's here so you have one place to troubleshoot issues on-site. Easily set prices and process payments on any pass & credential. 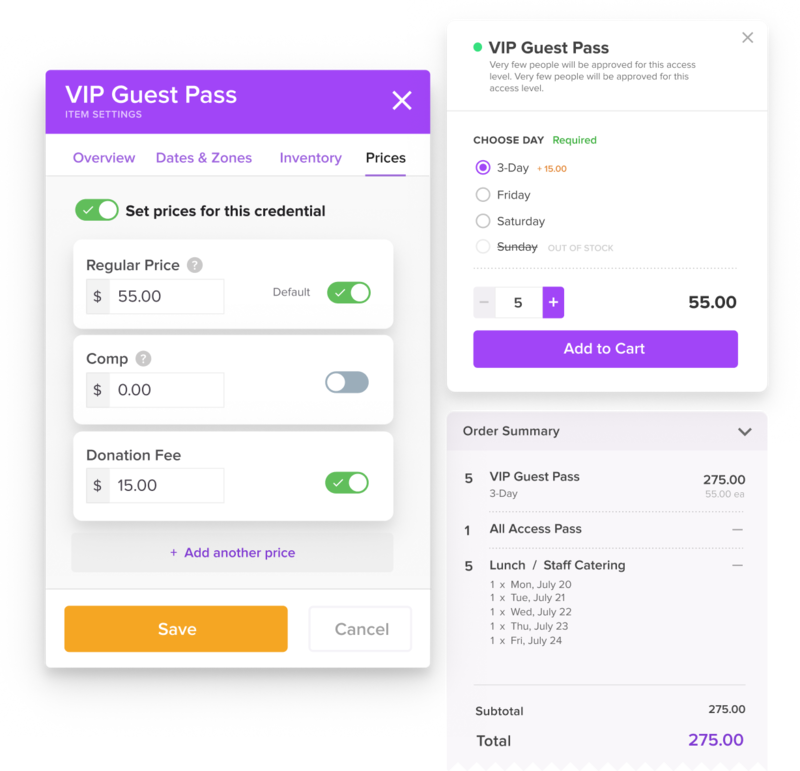 Set customizable price tiers on any internal paid pass (ex. First 2 Friends & Family Tix are one price or free and any additional are another price. Add unique blocks of passes and price tiers to different forms. (Allows different groups to only see the passes and prices they should see). Start collecting paid, comp or any other request in minutes. 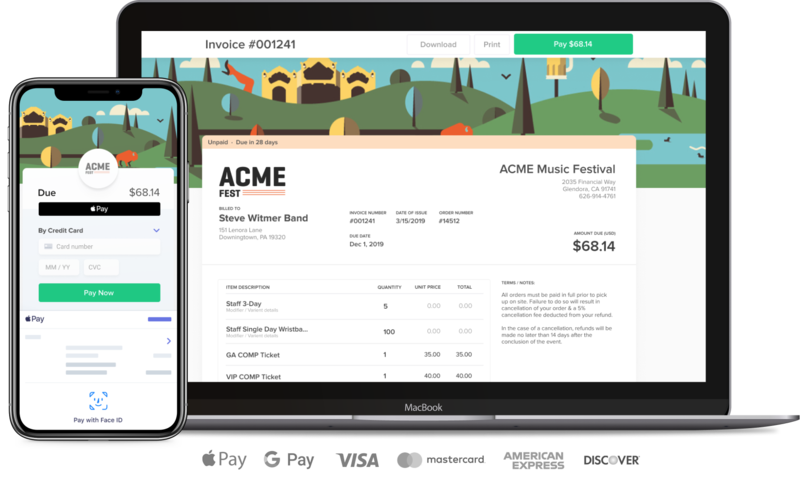 Now you can process your back office requests & payments for credentials, comp tickets, donation tickets, & more - inside of Lennd. 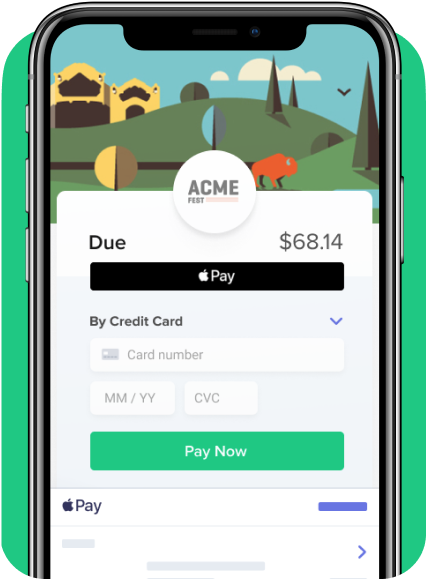 Collect requests - review & approve - and shoot off beautiful invoices and confirmation emails to get payment quickly & communicate efficiently. 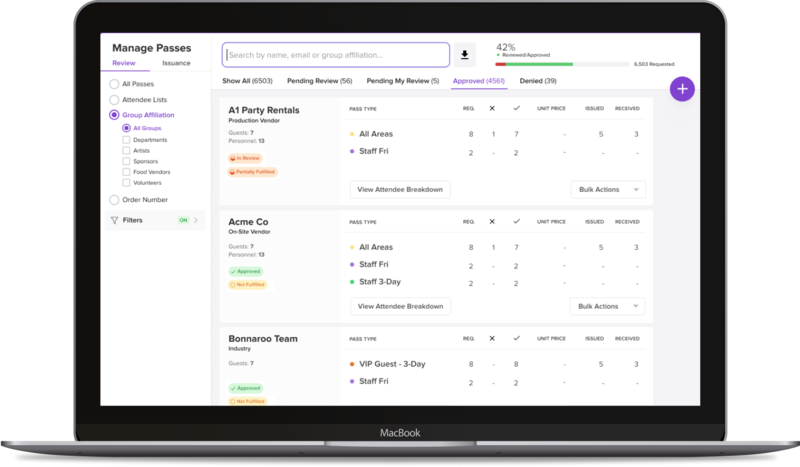 Manage your most critical back office event payments, fees and invoices with Lennd's fully integrated, secure and easy to use transaction solution.